Swing Science, LLC was officially formed on September 1, 2000, as the result of a market spin-off from a major manufacturer of composite golf shafts. The company is engaged in the sales and distribution of internationally branded golf club components. Products are sold to specialty retailers who are qualified in the process of custom fitting and or repairing golf clubs. The organization sells most of its products in a business to business environment via inside sales, outside sales, catalog sales, and internet sales to customers in the United States, Canada, Europe and Asia. 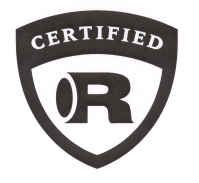 The business grew rapidly from 2001 to 2004 as it recruited and trained professional clubmakers how to custom fit using the Rifle blank system through its management of the Certified Rifle Center program. 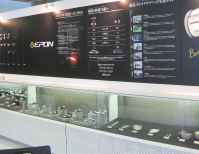 Nippon Golf became an integral part of the product mix in 2006 and gave custom clubmakers access to the world’s premier manufacturer of lightweight steel shafts. 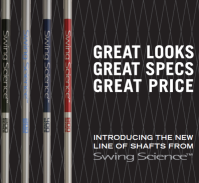 At the time, Swing Science was the only distributor authorized to resell the product. 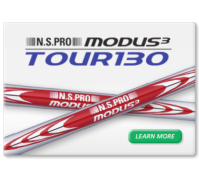 Today, Nippon continues to sell lightweight technologies, but has also branched out to offer standard weight steel models under the Modus brand and have quickly become favorites on the PGA Tour. 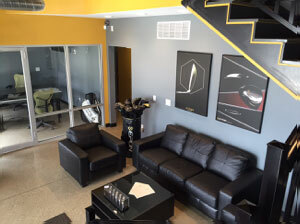 In 2010, the company partnered with True Temper Sports to launch the Performance Fitting Center Program which represents an elite network of 300 plus retailers who provide advanced club fitting services. Swing Science has been designated the Official Program Manager and is responsible for administering all facets of the PFC program including recruitment, technical training and product fulfillment for the network. Mitsubishi Chemical (MCA Golf) qualified Swing Science in 2012 as the only component reseller Authorized to manage its Key Account Program as a peer with the manufacturer. Swing Science works hand in hand with MCA Golf recruiting and educating retailers on fitting with the world’s most advanced composite shafts in golf as evidence by their driver usage dominance on the PGA Tour. Loomis Golf was added in 2014 as a premier composite iron shaft to complement the product mix currently offered to advanced club fitting shops. With the assistance of Mitsubishi Rayon, Loomis Golf is reintroducing to the market the Loomis brand. Utilizing Mitsubishi’s world class manufacturing techniques as well as their superior resin and fiber technologies, Loomis is able to offer composite iron shafts that provide superior feel, consistency and performance when compared to other premium carbon fiber shafts. 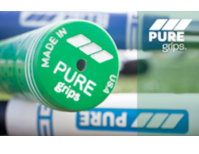 In 2015, Swing Science was named by Pure Grip as an “Official Service Center” for the brand providing quicker fulfillment for clubmakers located in the Eastern portion of the country. Pure Grip is made in the USA, uses injected molded manufacturing techniques and has a proprietary tacky EPDM compound that will outlast the competition. Plus, the product just looks cool! 2016 saw the official launch of the nXfit Program, a collaboration with Nippon Shaft. The goal is to bring the ultimate fit to consumers by establishing a network of expert club fitters focusing exclusively on fitting with the world’s #1 Premium Steel Golf Shaft. Swing Science is responsible for the recruitment, training and servicing of the nXfit Studio Network. In 2017, Swing Science announced its new strategic partnership with UST Mamiya and its role as a Certified TSPX Service Center. What this means for existing TSPX accounts, is an additional point of contact for both technical support and order fulfillment. Our goal at Swing Science is to help bring additional visibility to the TSPX program while supporting UST Mamiya’s efforts in delivering the most advanced high performance golf shafts in the world. 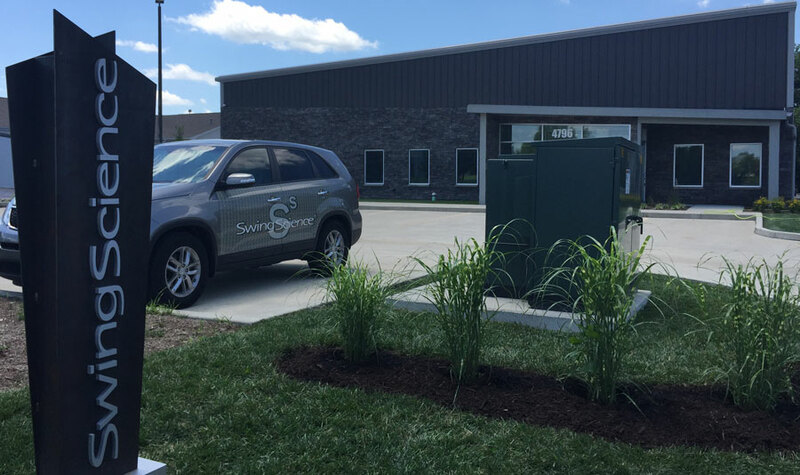 2017 was also a milestone year as the company purchased its own building in Zionsville, IN. The new 12,000 sq. ft. facility has allowed the company to expand its sales office along with its warhousing and fulfillment capabilities. If traveling in the Indianapolis metro area, customers are always welcome to stop by and to say hello to the Swing Science Team. The company will continue to invest in and expand its network of Fitting Centers that are building and repairing golf equipment with Swing Science branded products. These products cover the gamut from basic repair shafts and grips to premium lightweight steel and composite designs. 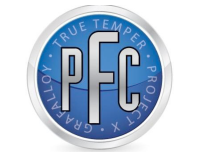 Additionally, the company has an impressive lineup of golf club components designed by industry veteran Jeff Sheets that allow clubmakers to custom fit golfers of all player profiles including low handicap players with the addition of the FC-ONE Pro Forged Iron. Moving forward, continue to look out for new product introductions under the Swing Science brand as the company continues to focus on the needs for the custom fit market at a sensible budget.